Sustained by a love for Israel embedded in their religion, and motivated to escape the violent anti-Semitism endemic to Europe, Jews organized political and pioneering movements aimed at re-creating a homeland in Palestine. About half of the 1.3 million Jews living in ancient Israel were killed during the period of the Roman destruction of the Second Temple, 70 CE, and the Bar-Kochba rebellion, which ended in 135 CE. Thereupon, Jews were dispersed to all parts of the Roman Empire, most as slaves. Arabs storming up from Arabia conquered Palestine in 638 CE, with successive rules by Crusaders, Mameluks and finally the Turkish Ottoman Empire in 1516. Some Jews continued to live in Palestine, and during the two millennia of exile a handful of religious Jews returned each year to live and die in Jerusalem. 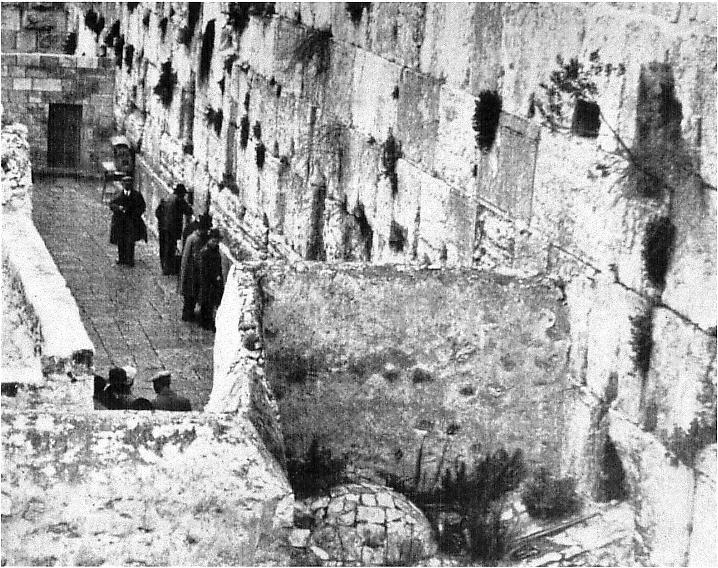 The Western Wall, which lay beneath the now-obliterated holy structures on the Temple Mount, was encroached by Arab housing and shops, with only a narrow alley, 10 feet wide and 91 feet long, available for prayers by the Jewish faithful. 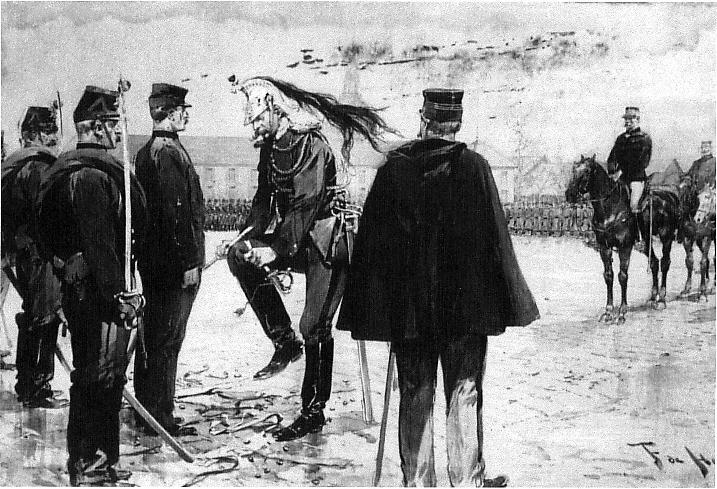 A Jewish captain in the French army, Alfred Dreyfus was tried in 1894 on a trumped-up charge of spying for Germany. 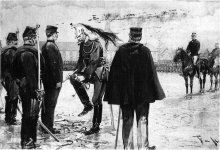 (Illustration shows ceremony in which his sword was broken in disgrace.) The "Dreyfus Affair," as it was called, set loose a wave of anti-Semitism throughout France. The entire Jewish community of France was considered suspect and potentially disloyal to France. 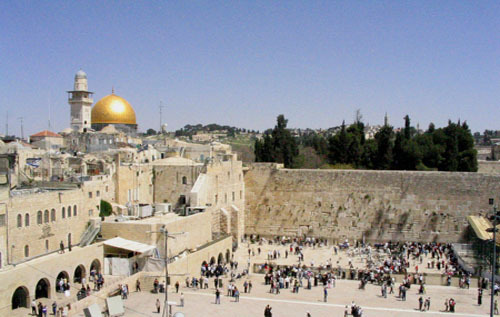 Synagogues were desecrated and individual Jews were attacked. 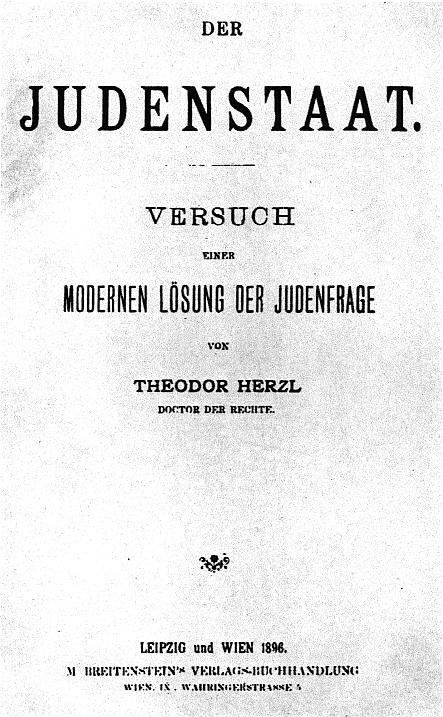 A truly charismatic Hungarian-born, Austrian journalist named Theodor Herzl invigorated modern Zionism like a bolt of lightning. After he had witnessed the charade of the Dreyfus trial in France in 1894 and the visceral anti-Semitism that accompanied that event, he wrote Der Judenstaat (The Jewish State) in 1896, when he was only 36 years old. The book urged the establishment of a Jewish homeland in Palestine as the permanent solution to the world’s prevailing social and religious discrimination against Jews. With Herzl’s leadership, the first World Jewish Congress met in Basle, Switzerland, in 1897. 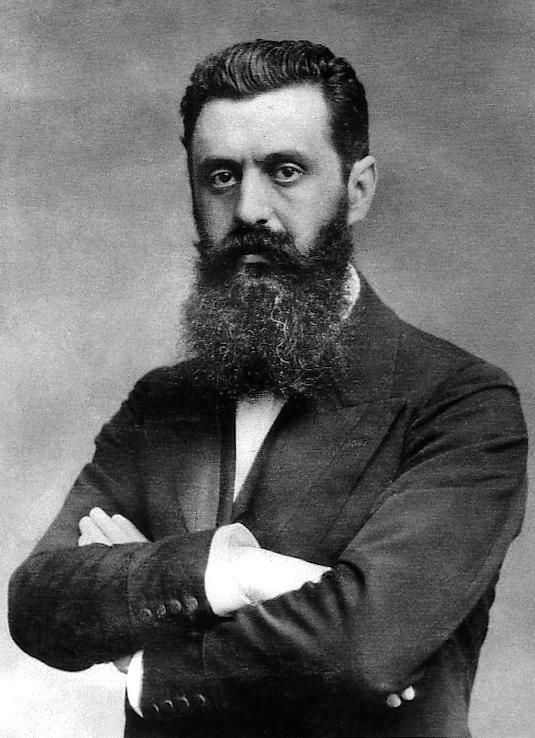 Herzl died in 1904, at the age of 44, but within the amazingly short time of 51 years since the meeting of the first World Jewish Congress, Palestine was repopulated with more than 600,000 Jews and the State of Israel had become an independent nation. Driven by pogroms in Tsarist Russia near the end of the 19th Century, Jews in small numbers began to emigrate from Europe to Turkish-controlled Palestine. The first two settlements, Rishon Le Zion (First in Zion) and Petach Tikva (Gate of Hope), were established in 1880. 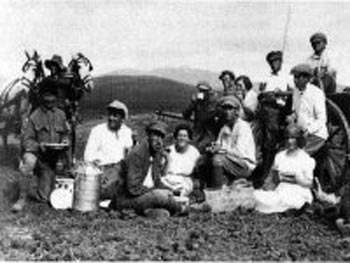 Some of the farm settlements were cooperatives, moshavim, where only land and equipment were owned in common. Others were idealistic socialist collectives called kibbutzim (plural of the word kibbutz). 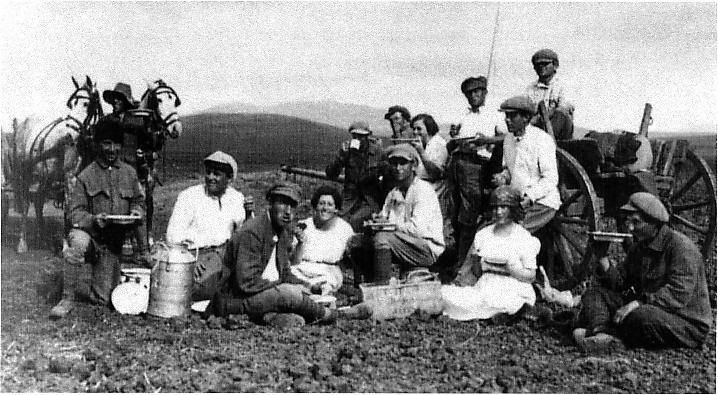 The kibbutz was unique to the Zionist movement. The philosophy of the kibbutz was "from all according to their abilities, to all according to their needs." Property of every kind, even clothing, was owned in common; all meals were eaten in a central dining hall; and all members received equal pay. In the early 1900s and beyond, Jewish settlements had to be constructed to defend against Arab marauders. 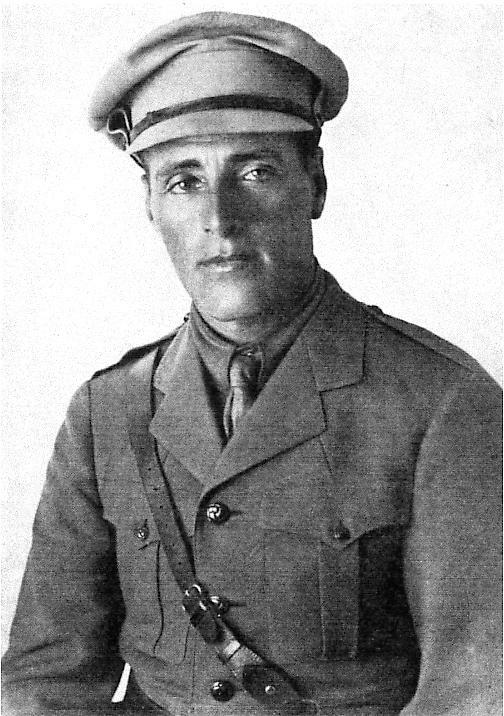 Josef Trumpeldor was the most famous leader of early defenders. Although he had lost an arm in the Russo-Japanese War of 1904 (while serving in the Russian Army), he was deputy commander of the Jewish troops that volunteered for the British army in World War I. As head of a defensive group that was a forerunner of the Haganah, Trumpeldor and five followers -- two of them women -- were killed in 1920 while defending Tel-Hai, one of the northernmost agricultural settlements in the Galilee. The Jewish National Fund (JNF) was established by the Fifth Zionist Congress in 1901 to purchase land in Eretz Yisrael (the Land of Israel). 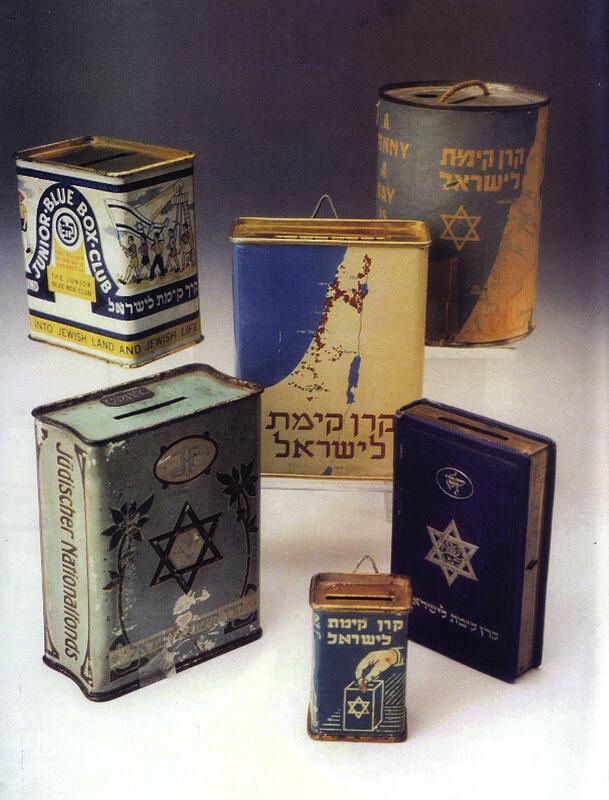 Jewish homes throughout the world kept the little JNF box, popularly called a pushkeh, in a central place for the deposit of pennies, kopeks, francs and marks. By 1947 more than half of the total Jewish holdings in Palestine came from these funds. The land purchased was leased to users for 49 years (renewable), and to this day belongs eternally to the Jewish people. 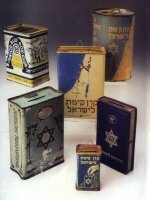 Although the shape and size of the pushkehs have evolved since 1901, they are still a prominent presence in Jewish homes in 40 countries. A giant personality, Henrietta Szold of Baltimore, Maryland, created Hadassah, Zionist women's oranization, in 1912. Its initial purpose was the creation of medical clinics in Palestine. 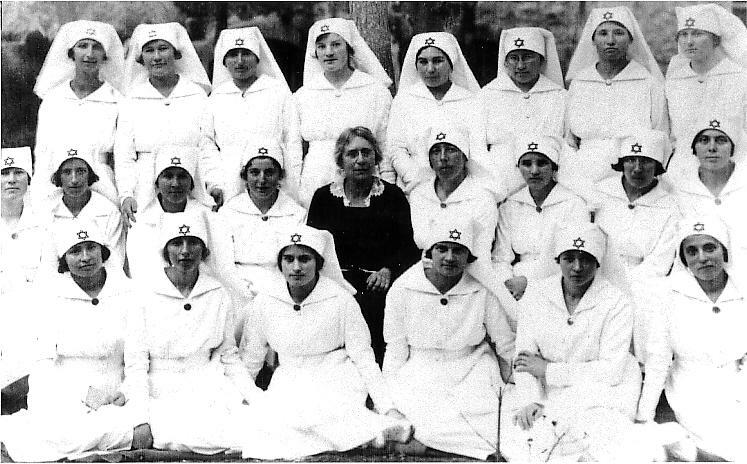 With chapters in almost every city and town in the United States where Jews could be found and a membership that eventually totaled more than 300,000 Jewish women, Hadassah built clinics throughout Palestine, serving Jew and Arab alike. It established and maintained the famed Hebrew University-Hadassah Medical Center in Jerusalem, rescued and rehabilitated children through Youth Aliyah, set up vocational training schools throughout Palestine and joined JNF in purchasing trees to reclaim tens of thousands of acres. 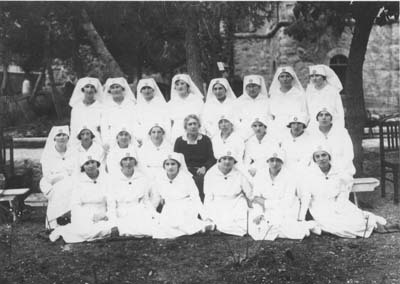 Henrietta Szold is shown here in 1921 with the first graduating class of nurses in Palestine. These institutions throughout Israel are an eternal monument to the Jewish women of North America. Thanks in part to the efforts of the Russian-born British chemist Chaim Weizmann, later to become Israel’s first president, England promulgated the Balfour Declaration in 1917. 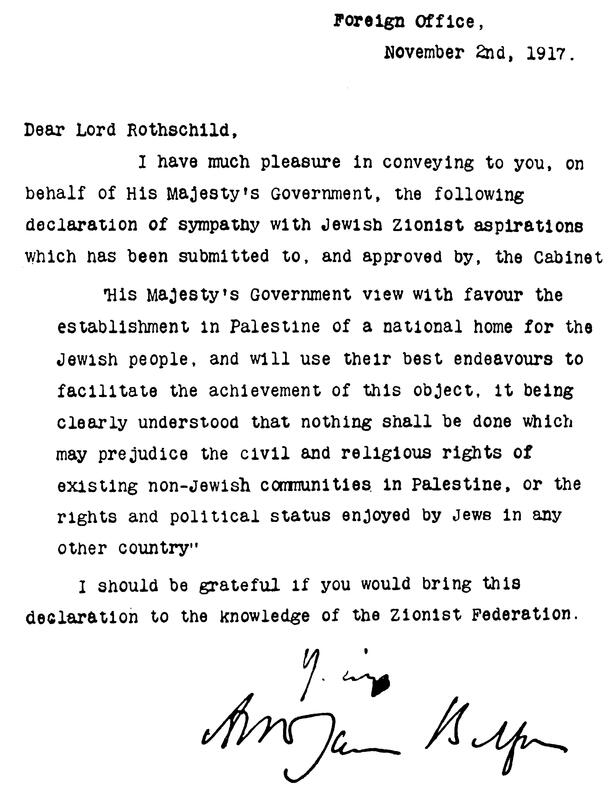 (The letter was transmitted from Foreign Secretary Arthur Balfour to the British nobleman, Lord Lionel Rothschild.) After they defeated the Ottoman Turks and captured Palestine in 1918, the British began to fulfill the promise to establish a Jewish homeland in Palestine. 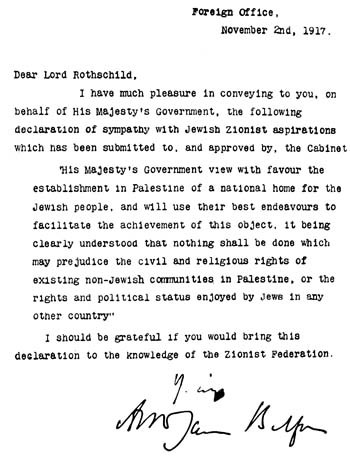 The League of Nations ratified this promise in 1922 by giving Britain mandatory power over Palestine with the understanding that it would eventually become a Jewish homeland. 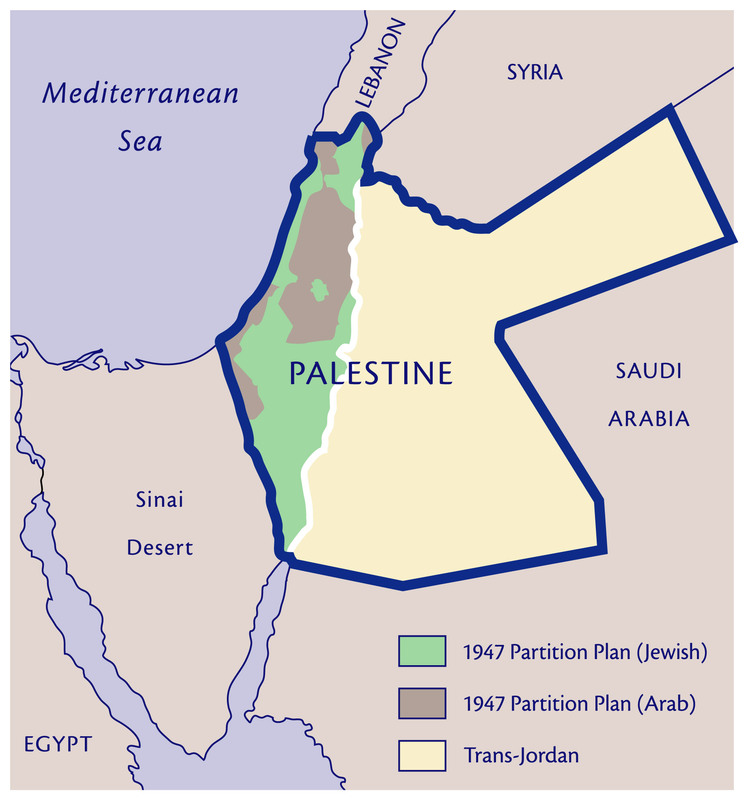 The original Palestine mandate, promised to the Jewish people in the Balfour Declaration, and approved for this purpose by the League of Nations In 1922, is the area circled by the dark blue line in the map to the right. Later in 1922, Britain wanted to find a kingdom for the son of a client king of Saudi-Arabia who had been deposed by an uprising by Ibn Saud. With League of Nations approval, England drew a line along the course of the Jordan River, splitting off two-thirds of the mandate and calling that area east of the Jordan River "Trans-Jordan." The son, Abdullah, was made "emir" (prince or commander) of this new British protectorate. England continually reneged on its original promise, finally closing the gates of Palestine to all but a trickle of Jews after 1939 due to Arab pressure. Many thousands of Jews perished in the Holocaust because the gates were closed to those attempting to escape the Nazi death machine. After World War II, the United Nations became the successor to the old League of Nations, with the obligation to fulfill League promoses. The remainder of the Palestine mandate was divided into Jewish and Arab states by the United Nations Partition Plan of November 29, 1947. The green area shows the portion assigned as a Jewish state by the Partition Plan; the brown area shows the portion assigned as an Arab state. As these population figures show, Jewish population during the period of modern Zionism grew exponentially. Arab population also quadrupled, as Jewish development attracted workers and tradesmen from surrounding Arab countries, and medical facilities established by the Jews were made available to all, reducing Arab child mortality and extending the longevity of adults. Jewish population grew dramatically in the 1930s as European Jews sought refuge in Palestine during the years of Nazi oppression prior to the Holocaust. England's "White Paper" of 1939, put severe restrictions on Jewish immigration, while Arab immigration from surrounding countries continued uncontrolled. "Miracles" often occur when there is an unusual coincidence of natural events. In the 24 years between the Dreyfus trial in 1894 and the end of World War I in 1918, there appeared the dominating presence of Theodor Herzl, the terrible pogroms against the Jews of Eastern Europe, the disintegration of the 400-year reign of the Ottoman Empire, the expansion of the British Empire into the resulting vacuum, and the rising wealth and political influence of the British and North American Jewish communities. Meanwhile, waves of pioneer settlers in Palestine, with the help of Jews throughout the world, created the foundations of statehood. Palestinian Jews established the Jewish Agency (their own self-governing body), educational institutions at all levels, medical clinics for Arabs and Jews, industry, transportation and even their own defense force (Haganah), albeit clandestine. 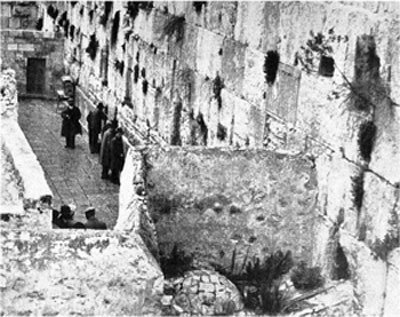 In a process unique to history, the Jewish National Fund and individual Jews purchased every square foot of land that came into their possession from 1880 to 1947, and usually had to provide their own defense against attackers representing the very people who had sold them the land in the first place. In the end, vision and sacrifice produced the reality of the Jewish State.